Scientists around the world have criticized a group of Canadians for dumping more than 100 tonnes of iron dust into the Pacific Ocean last summer. The group, called the Haida Salmon Restoration Corporation, is supported by the village of Old Massett, British Columbia. About 700 people live in the village, which is located on the Haida Gwaii islands. They used to make their living by fishing for salmon, but now there are not enough salmon and 70 per cent of the villagers don’t have jobs. Last July, the Haida Salmon Restoration Corporation paid $2.5 million to an American businessman named Russ George to dump a mixture of iron sulphate and iron oxide dust into the ocean about 370 kilometres west of the islands. They hoped the iron would cause more plankton to grow in that part of the Pacific. 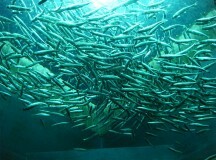 They believed that more plankton would help increase the number of salmon in the area. Scientists have not found any signs of life on Mars yet, but they say a robotic vehicle called “Curiosity” is helping them learn a lot about the planet’s history and climate. Curiosity landed on Mars in August 2012 after travelling through space for more than eight months. It was sent to Mars by scientists from NASA in the United States. Curiosity is a motorized vehicle called a “rover” which is controlled by scientists back on Earth. It is about the size of a car and has six wheels that allow it to travel across the planet’s surface and climb over sand and rocks. It also has a robotic arm, cameras, and instruments such as a scoop, drill and microscope that allow it to examine things it finds on the surface. Then it transmits the information back to Earth. The main purpose of Curiosity’s mission is to find out if anything could live on Mars, either now or in the past. On Nov. 2, NASA scientists held a press conference to discuss what Curiosity had found in its first two months on Mars. 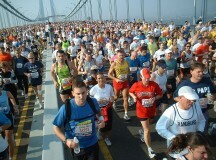 Two days before this year’s New York City Marathon was to take place, it was cancelled. The marathon is one of the largest in the world, with more than 47,500 runners, most of whom travel from out of town to the city for the 42.2-kilometre run. The run was to have been held on Sunday. New York’s Mayor Michael Bloomberg cancelled the event because New York was still trying to clean up after having been hit by a devastating storm. Superstorm Sandy hit the Caribbean and the eastern coast of Canada and the United States last week. It came onto land in New Jersey on the east coast of the U.S., on Monday, Oct. 29. Do you think you live in an average family? According to the latest Census of Population, published by Statistics Canada, “average” has changed. Every five years, Canadians are asked questions about their families and their life. Some new information from the 2011 was recently published. That census counted 9.4 million families in Canada, up 5.5 per cent from 2006. The other thing a census tells us is what Canadian families look like. For instance, in 1961 (according to that census) the average family comprised 3.9 people. 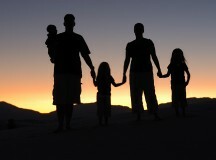 In 2011 (according to the most recent census) the average family comprises 2.9 people. 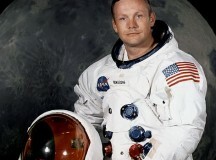 Neil Armstrong, the first man to walk on the moon, has died. He was 82 years old. Armstrong was an American astronaut and the commander of the Apollo 11 spacecraft on its mission to put men on the moon. Apollo 11 was launched on July 16, 1969, and began orbiting the moon three days later. On July 20, Armstrong and his co-pilot, astronaut Edwin E. “Buzz” Aldrin, took off from Apollo 11 in a small landing craft called Eagle. A third astronaut, Michael Collins, remained in the main ship, orbiting the moon until they returned. The Eagle remained on the moon for about 21 hours and then rejoined Apollo 11 for the return trip to Earth. Once the astronauts were back on Earth, they spent 16 days in quarantine to make sure they had not brought back any germs from space. 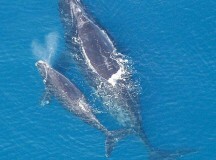 North Atlantic Right Whales are one of the most endangered whale species in the world. But now their numbers are growing again, thanks to a plan to keep large ships away from the whales’ nursery and feeding grounds. For many years the whales were hunted for their oil. Hunting was banned in 1937, but by the 1990s there were only a few hundred North Atlantic Right Whales left. The whales live in the Atlantic Ocean, off the eastern coast of Canada and the United States. They spend the winters in warm southern waters, where most calves are born, then migrate north in the spring. Many Right Whales spend each summer and fall in the Bay of Fundy, a large inlet of the Atlantic Ocean between the provinces of New Brunswick and Nova Scotia. The water there has large amounts of plankton – tiny organisms that are an important part of the whales’ diet. It’s hot outside. But just how hot? It’s “heat-wave” hot. That’s according to Environment Canada, the official source for weather information in Canada, particularly for severe weather watches and warnings. A heat wave is when the temperature outside reaches 32-degrees Celsius or higher for three or more days in a row. Southern Ontario and Quebec are experiencing temperatures in the mid-30s. 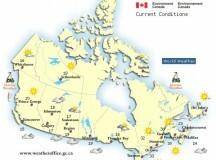 With the high humidity the provinces are also experiencing, the temperature outside feels more like 42 degrees. In March 2011, Japan was hit by the largest earthquake ever recorded. It caused a tsunami–a huge wave that started out in the ocean. 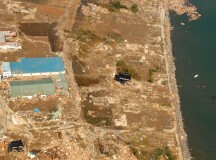 The tsunami swept onto the north-east coast of Japan and back into the sea, carrying away everything in its path. Now, after travelling across the Pacific Ocean for more than a year, a soccer ball and a volleyball have washed up onto Middleton Island, off the coast of Alaska. The man who found them plans to send them back to the two Japanese teenagers who lost them during the tsunami. The balls were found two weeks apart and both balls had names on them. The soccer ball also had a school name and several messages. 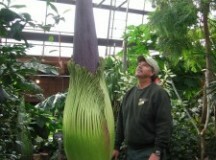 It’s stinky and it’s huge—and it’s about to bloom. The world’s tallest flower is set to bloom this week. Its scientific name is The Amorphophallus titanium (Titan Arum for short). The extremely rare flower is at the Niagara Parks’ Floral Showhouse, near the Canadian Horseshoe Falls in Ontario. When it blooms, it will be the 22nd of its kind to bloom in a botanical garden. Titan Arum is also known as the corpse flower. 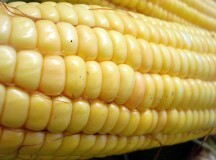 That’s because of the stinky odour it gives off. It smells like rotting meat. Titan arum normally grows in the rainforests of Sumatra. However, this one—and another one that is also growing and will bloom after the first one—was donated by a man who lives in New Hampshire, U.S.